Building a new commercial or industrial structure can be a daunting task. The building must be strong enough to withstand any weather conditions and harsh wear and tear or traffic. It must also be designed to provide energy-efficiency and usability. 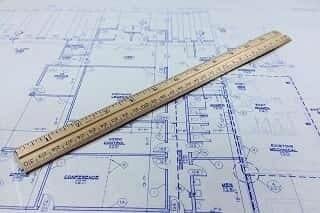 If you are building new commercial construction, contact the team at Matthews Wall Anchor for assistance with foundation design in Pittsburgh, PA. We have plenty of foundation engineers and structural contractors who specialize in coming up with foundation designs that are perfectly suited to your unique commercial and industrial structure. When designing a commercial or industrial structure, one of the most important components is the durability. You need a foundation that is sturdy enough to handle heavy equipment and constant traffic. You also want to make sure that the foundation does not develop any problems down the road, as foundation problems can result in structural instability. Another important thing to keep in mind when designing a foundation is the visible appearance. If the foundation is sturdy but uneven and messy-looking, it looks shoddy and can reflect poorly on your company. Matthews Wall Anchor engineers and designs foundations that are both sturdy and look professional when finished. The team at Matthews Wall Anchor is aimed at making your commercial construction projects more manageable. That is why our foundation engineers in Pittsburgh, PA are here to help with every part of the construction or repair process. Our experts can provide several services to help take care of your commercial and industrial foundation. These are just some of the many services that we offer to repair and construct the perfect commercial foundation in the Pittsburgh, Pennsylvania area. If you notice problems with the commercial or industrial foundation in your structure, contact us for one of our repair options right away. We can provide underpinning services, shoring techniques, and piling solutions to keep your foundation in great shape. These repair methods are all designed to lift and stabilize foundations that have begun to compromise the integrity of your commercial structure. Because we want to ensure that your commercial and industrial structures receive high-quality treatment, we use top-notch foundation repair and underpinning products from ECP (Earth Contact Products), one of the top brands in the business. Contact the professionals at Matthews Wall Anchor today to get a hold of a professional foundation expert or learn more about the commercial foundation services that we offer, such as foundation designs for Pittsburgh, PA.